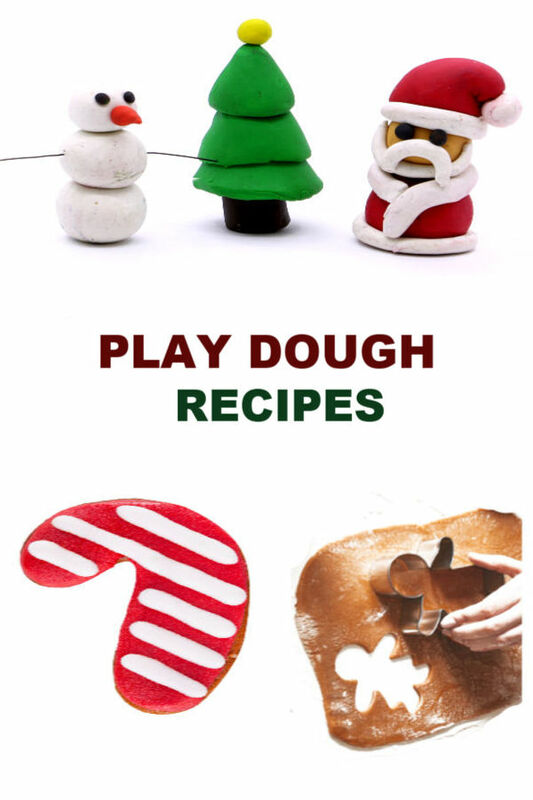 We love play dough and are always finding fun ways to make it at home. 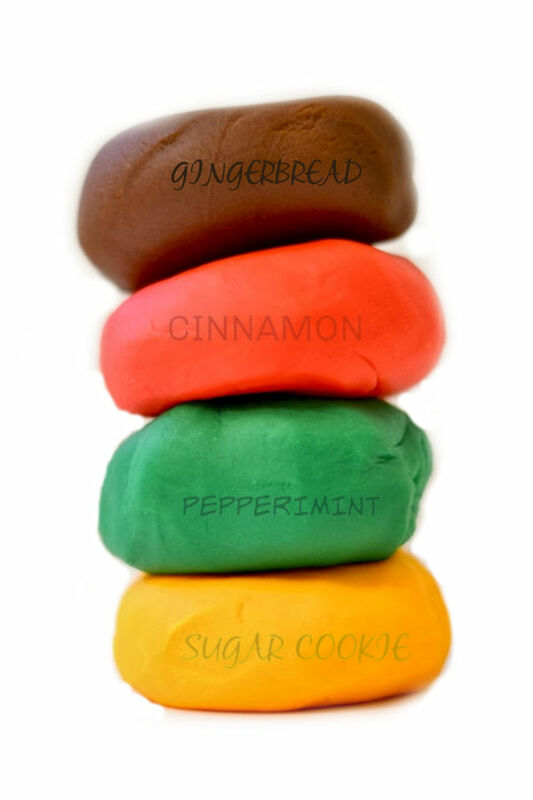 Today, we added a few ingredients to one of our favorite recipes to make a variety of holiday scented play dough. This recipe is really easy, requiring only 2 base ingredients & no cooking! 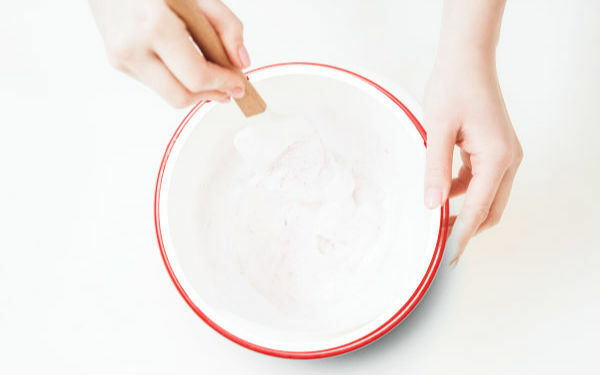 I am telling you-this is one homemade play dough that you really must try! It is so easy to make and amazingly soft. 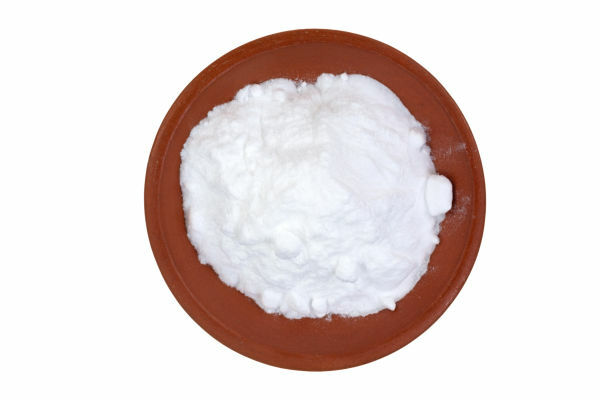 Begin by pouring the desired amount of corn starch into a large mixing bowl. We used two 16 oz boxes of corn starch, and that produced more than enough play dough for us. You can start with less corn starch if desired- it will just yield less play dough. 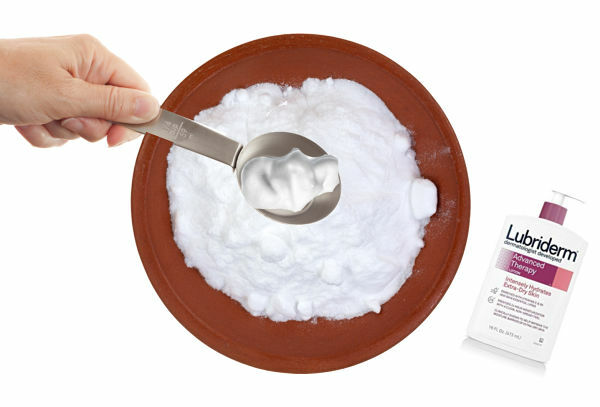 Once the starch is settled slowly begin to mix lotion into the starch, slowing adding more lotion and mixing until the desired consistency is reached. The mixing process can be a bit messy, but it is quite fun! At first you may feel like the ingredients aren't coming together, but that's ok! After a bit of mixing & kneading the dough will begin to form. At this time remove the dough from the bowl & continue to knead it with clean, dry hands. If the dough is at all sticky add a bit more corn starch and knead it in. 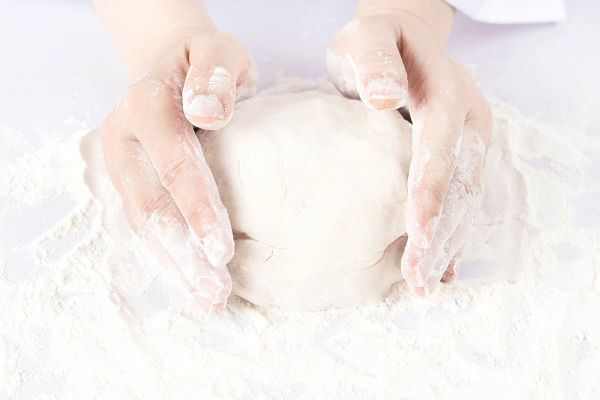 After a bit more kneading you will be left with gloriously soft, homemade play dough! 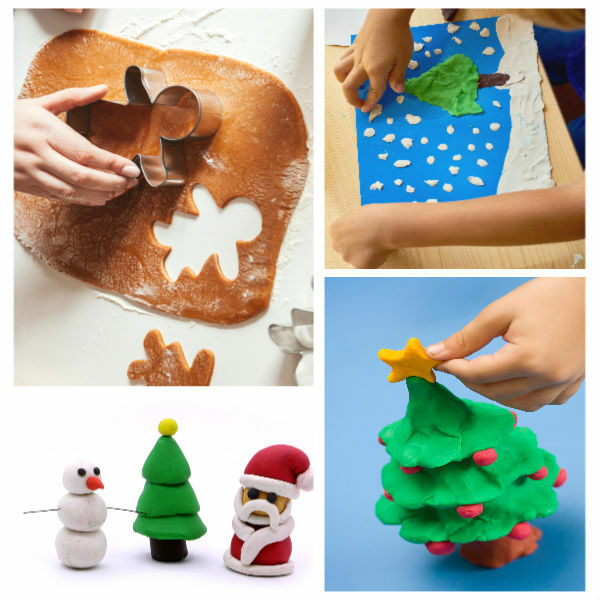 Add cookie cutters, play dough tools, and other gadgets, and kids will find all sorts of ways to play! 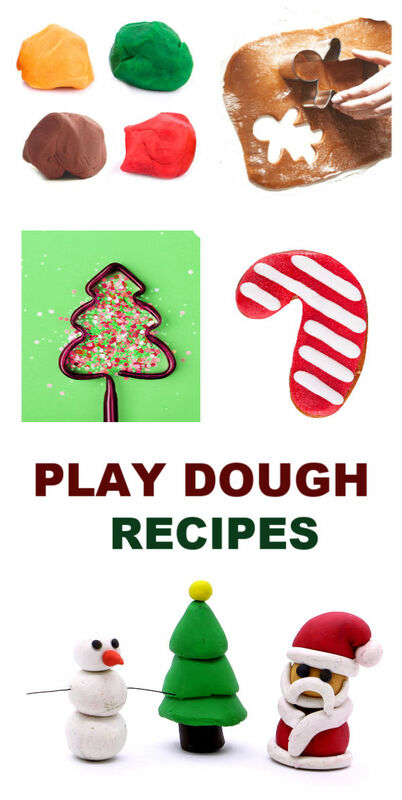 Now that you have your base dough you will want to divide it into bowls, using one bowl for each Christmas play dough variety that you wish to make. We divided our dough into four bowls so that we could make four play dough varieties. Sugar cookie play dough using yellow coloring and and vanilla extract. Peppermint play dough using peppermint extract and green coloring. Cinnamon play dough using red food coloring and cinnamon spice. 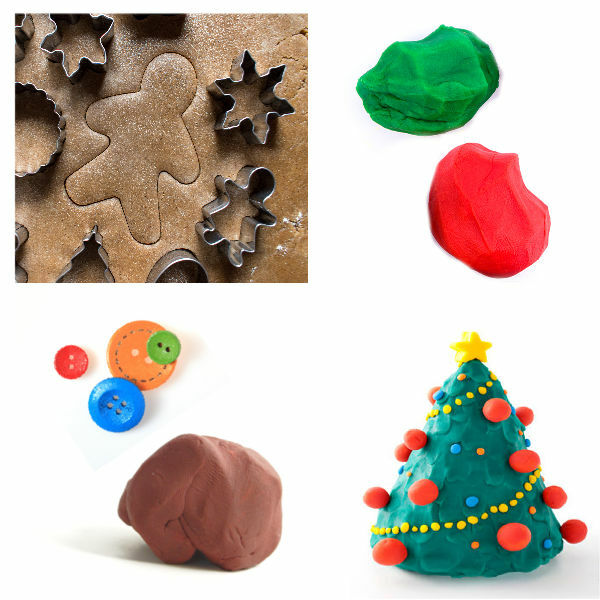 Gingerbread play dough using brown food coloring and gingerbread oil. To make each play dough we added the desired ingredients to a bowl and mixed, adding more food coloring/scent and kneading until all ingredients were combined & the desired results were produced. Open up a pretend Christmas bakery. 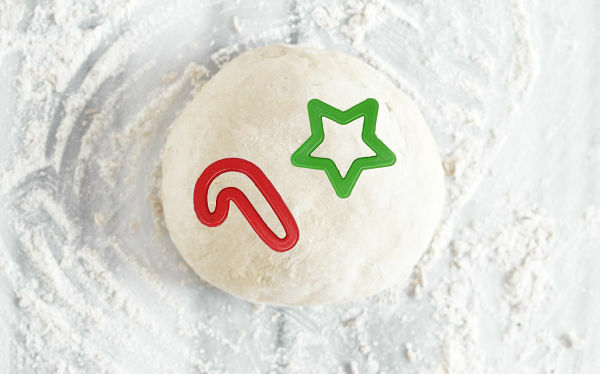 Make & decorate play dough sugar cookies. 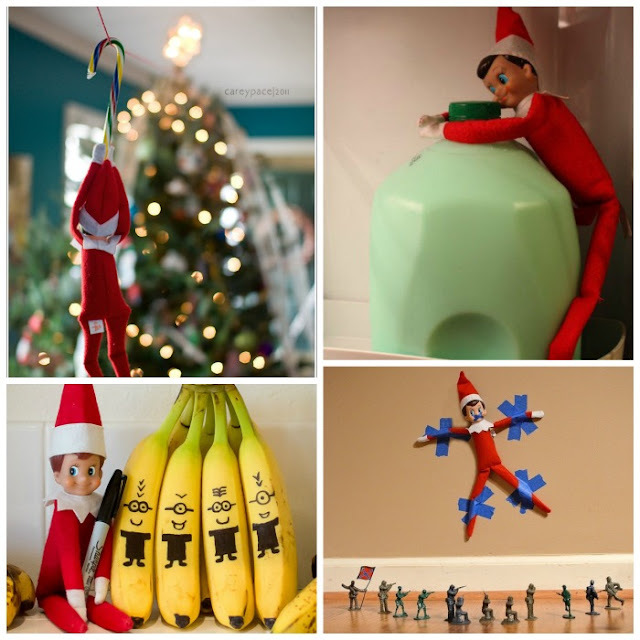 Add pipe cleaners, pom poms, googly eyes, and more. 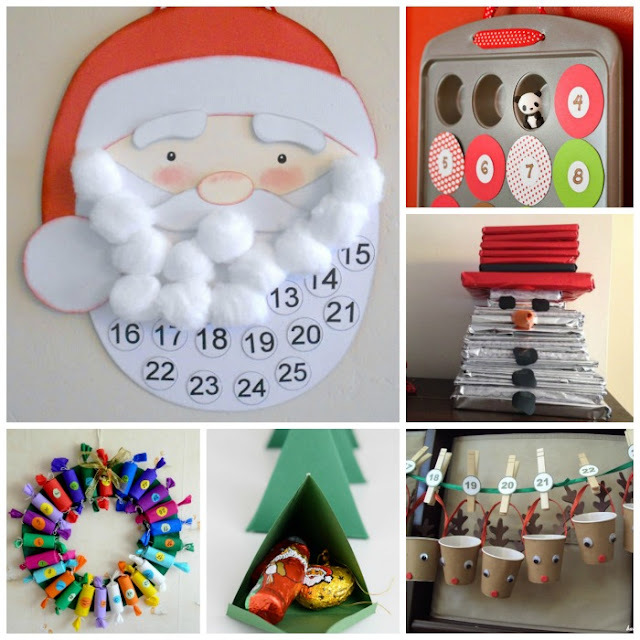 The possibilities for what your kids can create and make are endless! 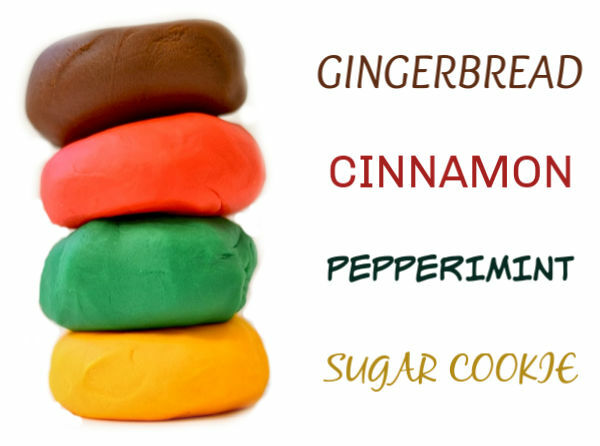 If using food coloring you will want to USE A LOT to get vibrantly colored dough. Alternatively, you could use liquid watercolors in place of food coloring. 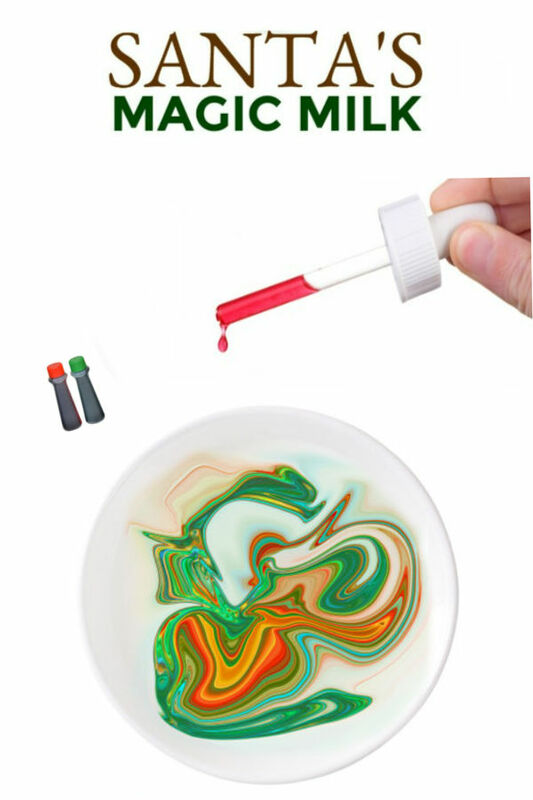 Liquid watercolors do not stain the skin like food coloring, & they produce super vibrant effects! The watercolors that we use in our activities can be purchased on Amazon here. 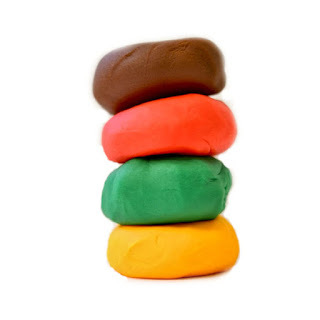 Store your play dough in an air-tight container between play-times, and it can be used for up to 2 weeks.